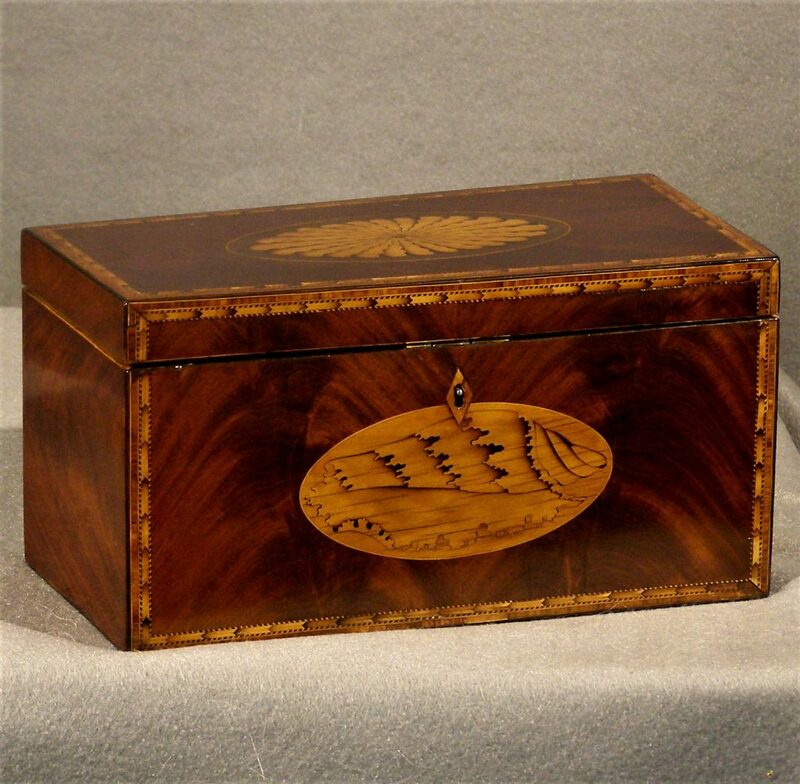 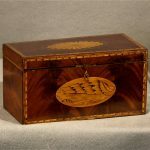 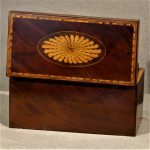 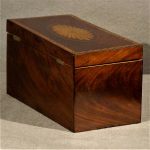 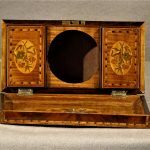 A rectangular lift top box with complex inlay borders and pictorial inlays of flowers, a conch shell and a patera. 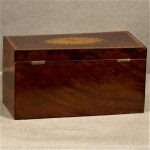 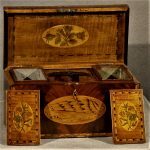 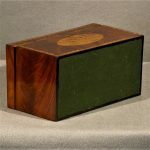 Woods include mahogany, tiger maple, boxwood and possibly dyed pear wood. 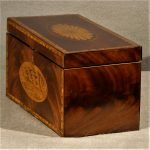 The two tea containers have sliding lids and still retain most of their foil lining.